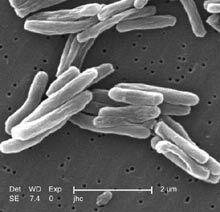 Drug-Resistant TB in the U.S.
Last week, the Wall Street Journal reported that a Nepalese man detained at the U.S.-Mexico border has extremely drug-resistant tuberculosis, XDR-TB. Tuberculosis, a potentially fatal disease that can be passed through the air, has historically been curable with appropriate treatment. However, new strains of TB that are resistant to available drugs have recently emerged and pose a significant public health threat. Some strains are resistant to only a few drugs (multi-drug resistant TB) while other strains, such as the one carried by the man in this story, are resistant to nearly all existing drugs. Because of this, XDR-TB is extremely difficult to treat and experts warn that new drugs will be necessary to treat growing numbers of patients with this disease. In addition to the need for new drugs to combat XDR-TB, this case underscores the need for improved TB diagnostics. Because this man was tested in the U.S., his samples were sent to an advanced laboratory that had the equipment necessary to detect the drug-resistant strain. However, many developing countries where TB poses the largest burden do not have the technological or health infrastructure to accurately diagnose XDR-TB cases. Therefore, patients may not receive appropriate treatment, which is detrimental to their own health and means that they can continue to pass drug-resistant TB onto others. 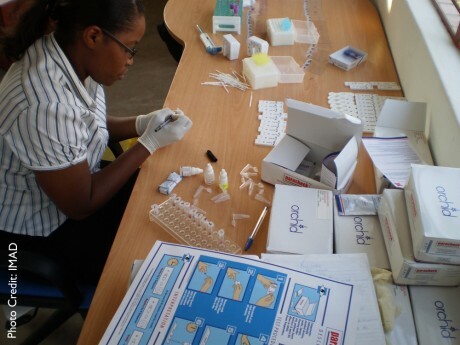 Research to develop simple, efficient and low-cost TB diagnostics is urgently needed. Unfortunately, this story is not an isolated case. Prior to entering the U.S., the man had made his way through 13 countries and had likely come into close contact with hundreds of people, many of whom may have been infected. In this era of globalization, diseases will continue to cross international borders and it is imperative that public funding for new tools and for this type of research is sustained.